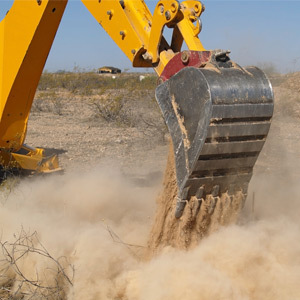 Why buy used heavy equipment from TuffWerx? Experience. As we say in Texas, TuffWerx isn't our first rodeo. We've created dozens of online marketplaces, including being part of the team to develop the world's largest automobile sales site, ebay Motors. We know how to build a site that's easy to navigate, with the tools you need to find and research the equipment you're looking for. 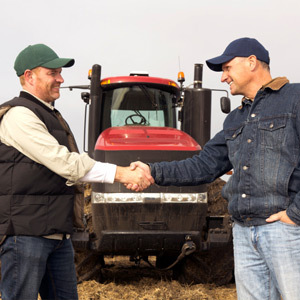 We've put the information you need at your fingertips, so you can buy the equipment you need with confidence that you're getting the best deal. Selection - You need choice, but you don't want to be flooded with useless distraction, like snow mobiles, rare coins and airplanes. We focus on used construction, used trucking, used agriculture, and used material handling equipment. Excavators, front loaders, dozers, and forklifts? Yes! Coins, and yachts? No! Search tools - The TuffWerx search helps you drill down to the equipment you want, fast. TuffWerx Pricing Guide - We have the only visual pricing guides available. Our charts let you quickly determine the value of a piece of equipment. We also give you tables of the most recent comparables, showing you at a glance how the equipment you're considering stacks up in price and quality against other recently sold items. The first step to knowing whether you want to buy a piece of used construction equipment is having enough information to really understand what you're getting. We've taken that to heart by creating the most information-packed listing system in the world. We enable Sellers to upload 100 photos of each piece of equipment, and video too! We've created condition reports allowing Sellers to report, in minute detail, the condition of the equipment. We have access to a network of inspectors who can provide services from just taking pictures and verifying serial numbers, up to certified diesel mechanics who fully inspect the equipment. Want even more info? Send the Seller a note, or forward the listing to a friend and get his advice. TuffWerx is a marketplace. There are no middlemen, you negotiate with the Seller. Want more pictures, receipts, lower price, make an offer? Just ask! We have shipping partners that cover the spectrum from lowest cost, to shipping 200-ton cranes around the globe. Our listings show the monthly payment for both 3-and-5-year leases. We've arranged discount rates with preferred lenders.